Whoa, you’ve got a lot of apps open! Multi Window lets you bounce back and forth between apps seamlessly. You can switch between apps, adjust the size of the display on the screen, and copy information from one app to the other. It’s a real timesaver. Note: You are in the middle of watching a video and an important message comes in. Don’t panic; just use Multi Window to send a reply without interrupting the entertainment. Let’s get started. 1. 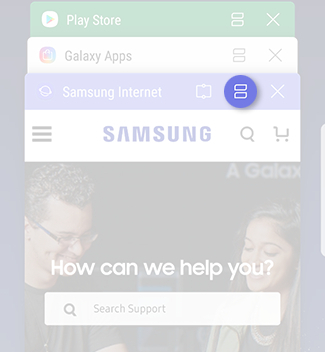 To access Multi window, touch Recents. 2. 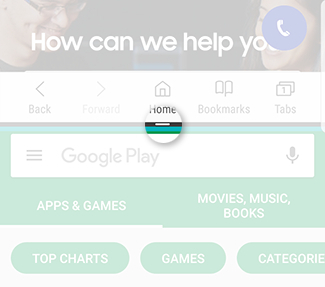 To launch an app in split screen view, touch Multi window on the title bar. 3. To open another app on a split screen, touch the second app from RECENTS or APP LIST. For this example, touch APP LIST. 4. Touch the second app you want to open in split screen view. 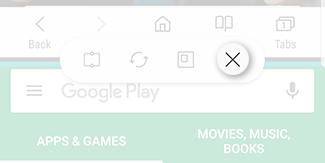 For this example, touch Chrome. 5. To open the Multi window controller, touch Window controls. For more information, view the section below. A. Snap window: Snap the selected window to the half of the screen it occupies. 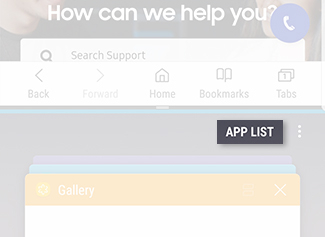 C. Open in pop-up window: Open the selected app in pop-up window. 1. To exit Multi window, touch Window controls. 1. To open the Notification Panel, swipe down from the top of the screen. 2. 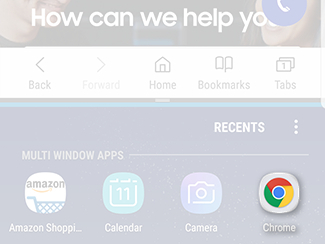 To exit Multi window, touch the Close apps icon.